We Could Not Help But Notice This Lovely Message Priyanka Chopra Had For Her Isn't It Romantic Co-star Liam Hemsworth! Priyanka Chopra is gearing up for her upcoming Hollywood film Isn't It Romantic. 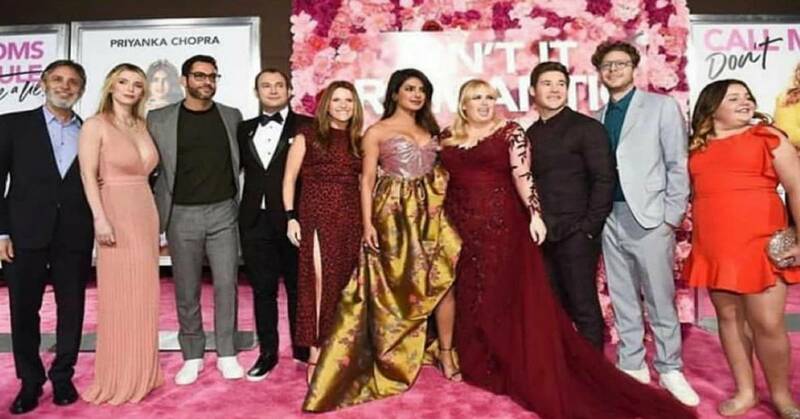 The film also stars Rebel Wilson, Liam Hemsworth and Adam Devine and is all set to be released on February 14th, 2019. Priyanka recently attended the world premier of the film. The whole cast of the film attended the premier except for Liam Hemsworth who could not attend the event due to some health problems. But his wife, singer Miley Cyrus attended the occasion in LA representing him on his absence. Priyanka Chopra will be playing Isabella, a yoga instructor in the film. She was accompanied by husband Nick Jonas at the premire of the film.